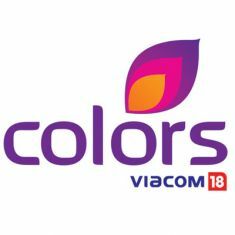 Colors, known as Aapka Colors in the United States and Canada, is a Hindi language Indian general entertainment channel based in Mumbai, part of the Viacom 18 family, which was launched on July 21, 2008. The channel is featuring a number of shows, such as Comedy Nights with Kapil, Balika Vadhu, Madhubala - Ek Ishq Ek Junoon, Uttaran, Rangrasiya, Sasural Simar Ka and Bigg Boss 7. Colors HD was added by various DTH Operators in India including DishTV, Airtel digital TV, Videocon d2h Tata Sky. This commercial-free channel is available in 1080i. Hathway digital cable also provides Colors HD. On 21 January 2010, Colors became available on Dish Network in the U.S., where it is called Aapka Colors (Your Colors) because of a clash with Colours TV. Amitabh Bachchan served as brand ambassador for the UK and USA launches. Colors launched in the United Kingdom and Ireland on Sky on 25 January 2010. On 9 December 2009, INX Media confirmed that Colors had bought 9XM's Sky EPG slot on channel 829 and on 5 January 2010, Colors secured a deal to join the ViewAsia subscription package. Initially the channel was available free-to-air and then subsequently was added to the ViewAsia package on 19 April 2010. Colors was added to Virgin Media on 1 April 2011, as a part of the Asian Mela pack. On 2 September 2013, Colors left the ViewAsia package and became free-to-air on satellite again, as well as moving to Virgin's basic package.